I’m frequently overcome by a tremendous sense of wanderlust. When that happens, I tend to go places. In 2012, Media Makes Us put out a call for Bahá’ís around the world to film their experience of the Bahá’í Fast, which takes place from March 2–20 every year, for inclusion into the documentary Fast In A Day. I recorded a bunch of footage in March 2012, hoping to send it over, but due to personal circumstances, I couldn’t submit it in time for inclusion. Instead, I gathered it together and presented it here. The first time I observed the Fast in Vietnam was in 2010—the year Quynh and I were married. In fact, our wedding was during the Fast, because that was the only time one of our witnesses could make it (during the March Break). A lot of our Bahá’í friends joked that we must have been trying to save on food costs by holding a wedding during the Fast—if only! Because so many members of Quynh’s extended family attended—and very few of them are Bahá’ís—we had to provide lunch anyway. After all, getting married is hungry work for all involved. In fact, it was so hot on the day of the ceremony (upwards of 35°C) that I started getting faint, so I decided to break the Fast discreetly with a small bowl of soup. I figured it was either that or falling over during the reception. As mentioned in the video, sometimes people wonder how Bahá’ís can survive when observing the Fast—abstaining from food and drink during the daylight hours. The fact is, though, it’s not too bad under normal conditions: I usually do fine if I make sure to eat enough oatmeal and drink enough water before sunrise. And for those who are worried that fasting causes harm, there’s plenty of evidence to the contrary—that is, occasional fasting may actually improve your health and help you to live longer. There are some cases where fasting is less than ideal, of course, and the Bahá’í Fast takes these into account. Bahá’u’lláh has exempted those who are ill or who perform strenuous physical labour from fasting, as well as women who are pregnant or menstruating. Ultimately, it’s up to each person to study the Bahá’í teachings so that they can understand the significance of fasting and how it applies to their life. Fact is, it’s not just about not eating and drinking. During the Fast, we pay special attention to the life of our soul, avoiding doing things that will drag down our spirits and spending more time doing things that will help our souls grow. Bahá’u’lláh calls fasting and obligatory prayer “two wings to man’s life” that enable us to soar to the heights of spirituality. Fasting also helps us remember our blessings, and to better understand “the woes and sufferings of the destitute”—those for whom hunger is a day-to-day thing. I don’t often get excited about mobile apps (heck, I haven’t even downloaded Angry Birds yet) but as far as I’m concerned, this one is the best thing since sliced bread: Google Goggles, part of the official Google app. 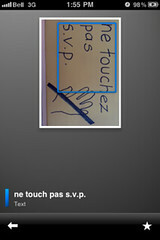 It’s a piece of image recognition software that uses pictures you take with your mobile camera to search the web. In a nutshell: search with images instead of words. It’s not perfect yet, but it does seem to be good at recognizing things like logos, landmarks, and so on. 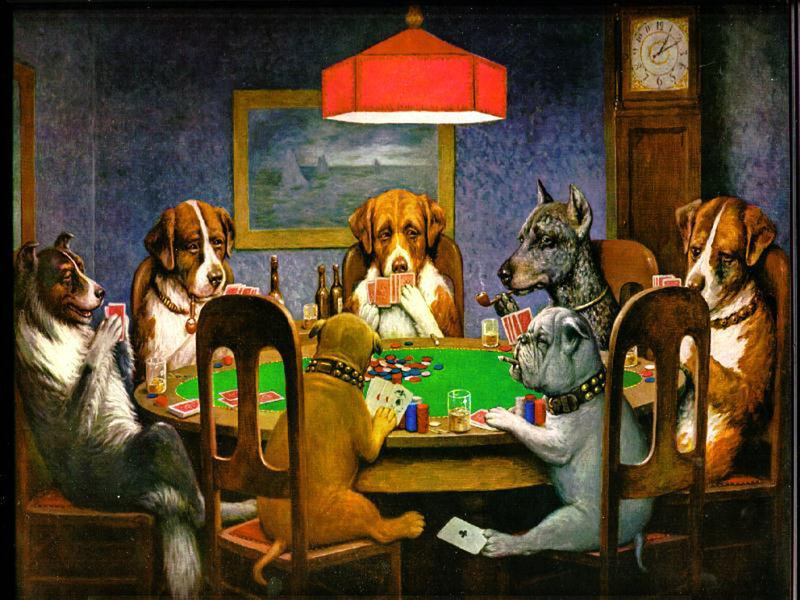 To give you an example, I was able to take a picture of Dogs Playing Poker and it knew what it was. 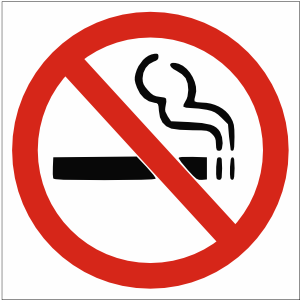 On the other hand, I took a picture of a logo off a bottle of Brio Chinotto and it couldn’t tell it from a no-smoking sign. Take a picture of some sort of text. It should be fairly legible; I figure block letters are best. OCR isn’t the best at picking up messy letters. Goggles will find the text in your picture and tell you what it sees. In this case, it’s pretty close. Click through to the translation screen, and you’ll see Google Translate giving you roughly what the words say. It’ll automatically tell what language is displayed and translate it into English (or whatever else). Now, at the moment, Goggles seems to only be able to recognize a small subset of languages, among them English, French, German, Italian, Portuguese, and Spanish. It definitely seems to work best at recognizing languages written in Latin characters. It was even able to recognize some Vietnamese text I found, although the sentence it spat back at me was mostly garbage. I tried it on a number of other alphabets that use non-latin scripts—Chinese characters, Russian, Lao, and Thai—and didn’t have any luck; it didn’t even recognize them as language. That would probably be my main request to the Goggles team—recognizing non-latin scripts, especially things like Chinese, Thai, Korean and Japanese. Definitely a promising app, though, with sweeping potentialities: imagine if you could understand any shop sign you came by on your trip to China, or Japan, or wherever, just by snapping a picture of it with your smartphone? 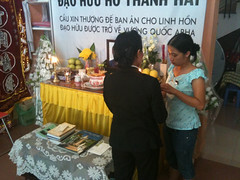 This post is the fifth in a series on Vietnamese customs relating to death, from a personal and a Baha’i perspective. It’s been several months since Quynh’s father Hai passed away, and the one hundred days—the “t?t kh?c” (“end of tears”), marking a resumption of “normal” life after a loved one’s passing—have elapsed long since. Being surrounded by family has helped Quynh’s mother Lam cope with the tragic loss greatly. Quynh commented on her mother’s evident sense of joy at the large turnout for the 100th-day commemoration—sixty people or more arrived to pay their respects and to be with the family, if I recall correctly. This post is the fourth in a series on Vietnamese customs relating to death, from a personal and a Baha’i perspective. On these, the coldest winter mornings when the roads are covered in snow and ice, I roll groggily out of my bed to get ready for work. Shower, brush teeth, shave. Get dressed in long johns, spiffy tailored pants and shirt from Da Nang. Lumber downstairs and feed the cat. Then pull a little piece of black plastic out of my pocket and pin it above my breast pocket, and walk quietly into the den, where the shrine awaits. Gaze with love at the portrait that stands there, and take three sticks of incense, applying a flame until they smoulder. Then holding them before me, I utter a quiet prayer, and bow three times, repeating the Greatest Name of God. Planting the sticks in the handmade ceramic pot in the centre of this small, humble shrine, I bow once more and turn away to start my day. I used to burn incense, but only because it seemed cool and exotic. It didn’t occur to me that I could ever use it to pray. Well, not pray. I can’t really use a stick of incense to pray, or can I? Maybe worship is a better word. I’m still not sure where that line is, or if there even is a line. I know how Baha’is pray, and I know the way we were taught to pray in Catholic schools. I know the Lord’s Prayer by heart, and I’m doing my darndest to memorize the Tablet of Ahmad. I even know what Muslim prayers look and sound like. But I still wonder whenever I see people offering incense at shrines, temples and pagodas: What exactly are you thinking? Not in a “wondering about your sanity” way, of course, but genuinely wondering what goes through the minds of the Vietnamese, the Chinese, the Koreans and Japanese when they offer incense. How exactly do you pray? This post is the third in a series on Vietnamese customs relating to death, from a personal and a Baha’i perspective. Apart from the family memorial gatherings and the weekly devotional gatherings for Quynh’s father Hai, my time in Vietnam was rather quiet and uneventful. It rained heavily for a good part of my stay, which left me stuck inside most of the time. In my free time I did some tele-work for my employer in Ottawa, using a remote access provider to debug CSS and code up ASP.NET controls from the comfort of my chair in Da Nang. Yes, that was my free time. Whenever we weren’t visiting Hai’s resting place south of Da Nang—replacing flowers, planting rows of incense, refilling oil lamps—I mainly puttered around the house, taking care of chores. As I mentioned before, I spent a lot of time figuring out how to be a good son-in-law (in Vietnamese, con r? 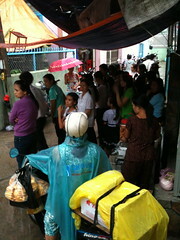 ), hoping to learn the ropes, as it were, of Vietnamese family life. It turned out that my main task was, well, to stay in the house and wait for things to happen. I eventually got into a routine that involved taking care of a few daily chores: preparing rice for lunch, taking out garbage, and fetching cola and other small items from nearby shops. Another big part of that routine was to take care of the family shrine—meaning, offer rice and keep the incense burning at all times. At every mealtime, we would take some of our rice (or noodles, or whatever) and place it in a little bowl on the shrine. Quynh explained to me that while she and her mother, being Baha’is, didn’t necessarily believe that her father’s spirit would “consume” the food—or that his spirit would even need such sustenance—the act of offering food to the deceased was mainly for the family, to help them grieve. Offering incense, she said, carried the same significance. This post is the second in a series on Vietnamese customs relating to death, from a personal and a Baha’i perspective. The gesture of offering incense is omnipresent throughout Asia, it seems. China, Japan, Korea, Vietnam, India—anyone who’s Buddhist, Hindu, Taoist, Shinto—even some types of Christian—knows what it means to offer incense. “In North America, not so much,” as I would tell everyone in Da Nang. In the West, most people treat incense as a way to make your house smell good, not as an object of religious practice. I spent my time during my last trip to Vietnam trying to discern how to be a good son-in-law. Eventually, I figured out a few things that seemed to be key: preparing rice at lunch, taking out the garbage, fetching things from nearby shops, and regularly offering incense at the family shrine. 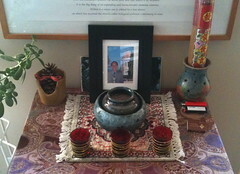 If you remember my post about Vietnamese funeral customs, you’ll recall that when someone dies in Vietnam, a shrine is erected as a memorial, and that a central element of that shrine is a pot of sand used to plant sticks of incense as offerings, generally placed in front of a photo of the deceased. This shrine is an active centre of worship for (at least) the 100 days following their passing. “Worship?” I hear you ask. Yes, worship, or at least that’s how they refer to it—the act of paying one’s respects by offering incense. Vietnamese, even Baha’is, tend to draw a line between this act of “worship” and the personal prayers one might say before bed, or in times of trouble, and so on. 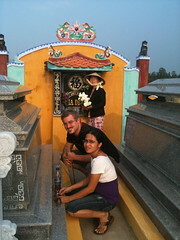 Paying one’s respects at the family shrine is one of the most fundamental acts of Vietnamese spiritual life, and this applies irrespective of “membership” in one religious community or another; it is a tradition that helps to define what it means to be Vietnamese, and acts as a base for the family and society. Without understanding it, you cannot understand Vietnam.